The sacred holy Shravan month will be observed at holy Sri Sivananda Ashram, Ahmedabad, from 21st July to 19th Aug. 2001, with the worship of Lord Vishwanath in the traditional Vedic System with Vedic Chants and hymns from the scriptures. On the last day of the month, a special Havan (Yajna) will be performed for the peace of the world in front of Sri Vishwanath Temple in a grand manner, with a specially erected Shamiyana. In this Yajna, oblations will be offered, with the recitation of Mantras of Rudra – Adhyaya from Yajurveda. Yajna will be concluded in the evening and it will be followed with a grand feast (Bhandara). Throughout the month of Shravan there will be a special worship in the temple practically for 18hrs. everyday. 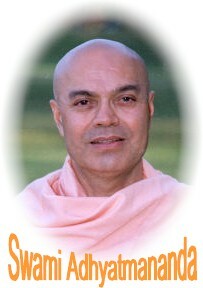 There will be discourses on Holy Sri Siva Purana by Swami Adhyatmananda in the evenings. Holy Sri Siva Purana sings the glory of Lord Siva and His worship. It touches almost all the aspects of worship and devotion in Spiritual life. It is being pointed out that very careful distinction has to be made between religious activity and religious consciousness. Mostly, religion is identified by people with practices and routines which people continue, as a matter of social convention, custom and habit of the family tradition or the group to which they belong. The religious spirit, which is the essence of what we mean by religion, is different from these forms of activity. The form can remain even if the spirit is dead, even as a corpse has all the features of a human being, yet is obviously different from it. The religious activity loses its meaning and purpose when it is divested of the inner conscious attitude of the foundation of religion, which lies at the bottom as the bedrock of all sublime aspirations. Religion is not an activity but a state of consciousness. Yet, it can take the form of activity and performance, provided consciousness enlivens it. Worship and contemplation as forms of religion become essential requirements when life in the world gets charged with religious aspirations. While religious spirit or aspiration is like a fire hidden in all things, it becomes manifest when it operates through various walks of life and the different activities of people. While it can work through any activity and phase of society, it rises to its zenith in the concept of God, Who is the highest form assumed by religious consciousness. God, again, cannot be conceived, as He is, due to the limitations of the human mind. So there is a division of the concept, into divine manifestations as Brahma, Vishnu and Siva, i.e. Creator, Preserver and Destroyer. While the trace of such a concept can be seen even in the Vedas and Upanishads, it becomes markedly pronounced in the Epics and Puranas. While the Puranas show a tendency to regard the Trinity as consisting of three different Divine personalities, the Epics, which are an earlier phase of the history of religion, maintain an organic relationship of the three forms; and the unity of God as a supreme completeness is visualized, even when any one form the Trinity is specially chosen for worship and meditation. Thus the great God Siva, as the most adorable, auspicious and blessed, contemplated by the devotee, observing the holy Shravana as a spiritual vow and discipline, is the unitary background of Param Siva who may be called by any one of the three names, - Brahma, Vishnu or Siva, and who still remains as the All in one. The main function, throughout the month, will be held in Temple of Lord Vishwanath, as a programme of worship, which will contain Sankirtan, Bhajan, Abhishek, Archana, Arati, Japa and Meditation. It would be pertinent to mention the place of Vaidik –Yajna, the ritual of sacrifice, in the psychology and the spiritual import of religion. The great exegetist, Acharya Sayana, is believed to mostly confine himself to a ritualistic, or even a naturalistic, interpretation of the significance of the Veda – Mantras. While this approach is permissible, taking for granted that Sayan laid special emphasis on this aspect of the Veda, as some Indologists opine, it can be safely said that there are also other purposes, than the one mentioned, of the application of Veda – Mantras. According to Yaksha, the renowned Vedic lexicographer and exymologist, there are at least three usages of the Mantras: Sacrificial and ritualistic, pertaining to Yajnas and offerings of that kind (Adhiyajan); Eternal, which pertains to the pantheon (Adhidaiva) and Spiritual which pertain to the deepest truth behind all things (Adhyatma). To take a particular instance in hand, the Rudra- Adhyaya of the Yajurveda, the great hymns addressed to the God Rudra-Siva, is full of invocations to the Divinity, involving reference to forces of nature, to the society of human beings and to the mental condition of the devotee. The prayers are for or against, which should look odd, on its surface, to an uninformed observer of the meaning of religion. This is to some extent, the terrestrial or Adhibhuta application of the Mantras and is obviously elementary or the lowest form of their use. A higher application of the very same Mantras is ritualistic or sacrificial Adhiyajna. A still higher stage, is celestial or theological - Adhidaiva – where by God is addressed as a Transcendental Divinity. Here, religion rises from outer ceremony to inner devotion. But the highest application of the Mantras is spiritual, Adhyatma, whereby the Universal Reality is invoked by the very same hymns of prayer, which are otherwise capable of being used in lower forms. For instance, the prayer to overcome enemies, which is a common feature in the Veda – Samhitas, can have all these applications. As Adhibhuta, it is a request for physical and material welfare and protection and providing one’s day-today needs (Yoga-Kshema). As Adhiyajna, it is an address to the deities to come and partake of the offerings made as oblations in the sacrifice. As Adhidaiva, it is an outpouring of the heart’s love for God, for bestowal of His grace. The Rudra-Adhyaya is abundant with a universal application of this method of invocation to God, visualizing Him in the high and the low, the large and the small, the good and the bad, and even in those persons and things which are, ordinarily, objects of dislike and reprehension. The point made out is that when consciousness is lifted up to God-Vision, the material, social and ethical values get transfigured and assume a metaphysical status, above all human judgment and evolution. This is something, which a man of the world, normally, cannot understand and so cannot appreciate. But as Adhyatma, the Mantra becomes a prayer for the destruction of ignorance, which in the end, is the only enemy of man. Thus, this additional meaning of the Veda-Mantra is always implicit in each one of them, and truly, it is said that the import of the Vedas is unlimited (Ananta Vai Vedah). Thus the holy Shravan will not be merely a month of rituals and worship of Lord Siva but it will be to a month of introspection and struggle for perfection. Thus, these lead an individual soul to the realisation of the absolute and to make the Jiva (individual soul) establish in the blessed form of Siva. Om Namah Sivaya.